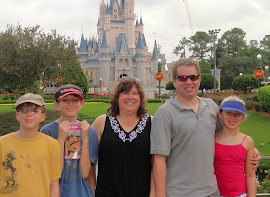 A DISNEY VACATION - You dream of the ultimate family vacation but how do you ensure it will live up to the magic everyone expects? The secret is in the planning and knowing which of the countless experiences are right for you. You could easily spend hours upon hours trying to decipher websites and travel books hoping to make the right plans. You could check in with Disney related websites and try to monitor Disney vacation deals so you know what you need to ask to get the best price. You could spend your valuable time on the phone waiting to book your Disney vacation directly. Or you could simply let me do all of that for you and the best part - IT'S ALL FREE! Let my passion for all things Disney and many years of experience work for you. With your family's priorities in mind, we will work together to figure out when to go and which Disney resort, cruise or adventure is right for you. Then I will help with all the details such as coming up with the best itinerary to avoid the biggest crowds, which restaurants would be the perfect fit, which excursions would be the most exciting etc. I will be your personal Disney expert answering questions and making suggestions along the way. The excitement for a fabulous vacation builds when you know you've had a Disney Travel Specialist handle all the details with your family in mind. As an Independent Travel Agent for Mousketrips, I will create and book your family's vacation package whether it is Disney World in Florida, Disneyland in California, Disney Cruises, Adventures by Disney or Disney's Aulani in Hawaii. I will be your personal consultant and help with the big questions such as when to go or where to stay. Once your vacation details are confirmed, I will discuss with you your family's priorities to come up with the perfect itinerary, dining options and activities. I will make your dining reservations and I can also book specialty experiences such as the Bibbidi Bobbidi Boutique, the Pirate's League, or special excursions and tours. You are guaranteed The Mouseketrips Lowest Price Promise: Once your reservation has been booked with us, if at any time between booking and the time of travel any discount deal or better rate becomes available for which your reservation qualifies, we will automatically rebook your vacation for you at the new, lower price. No hassles, no fuss, you simply get the lowest price possible for your Disney vacation!